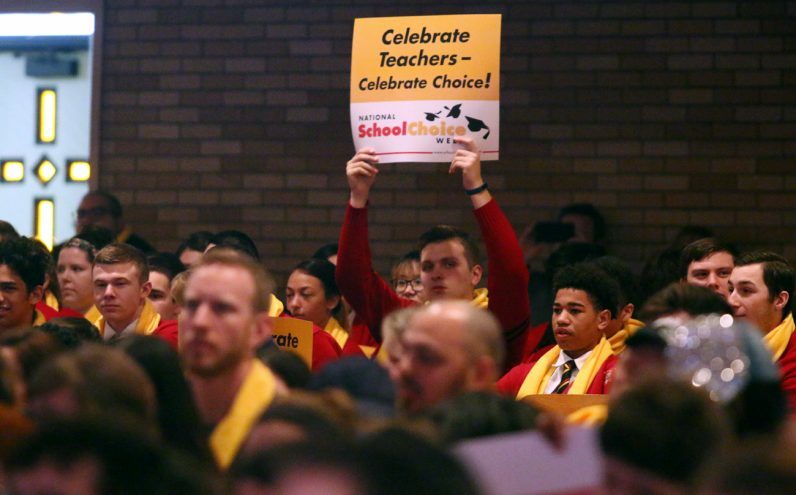 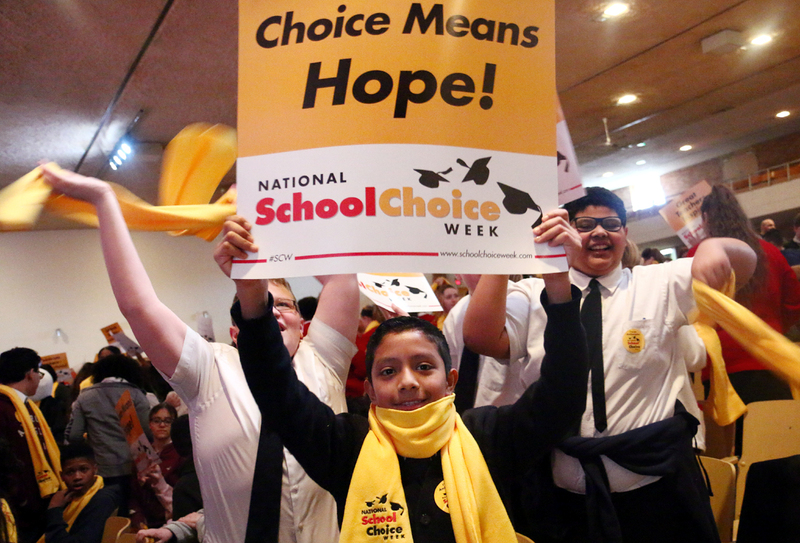 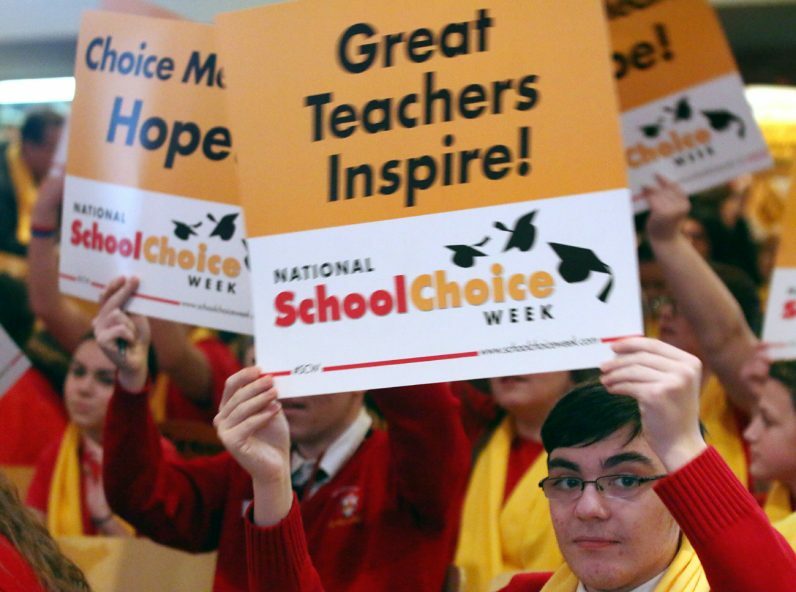 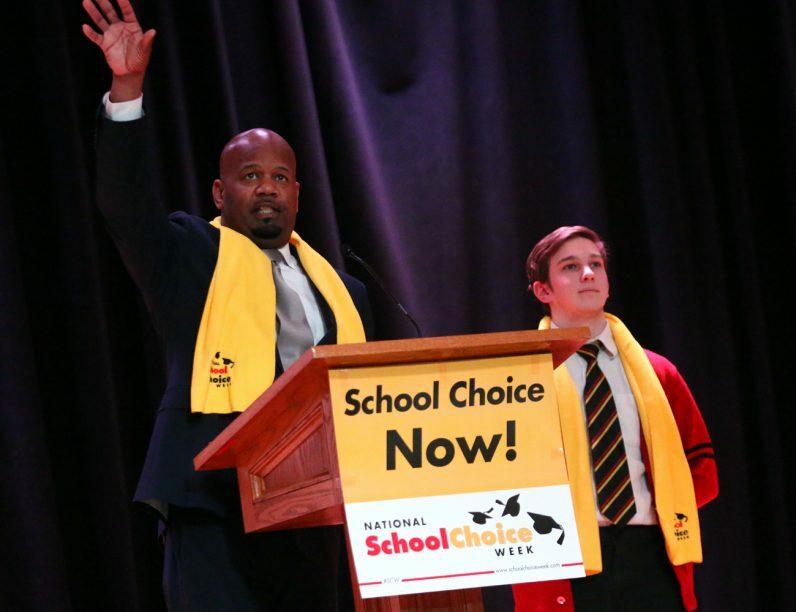 Rally presses expansion of school choice options in Pa.
Leonardo Mejia-Lopez from St. Peter the Apostle School in Philadelphia cheers for school choice. 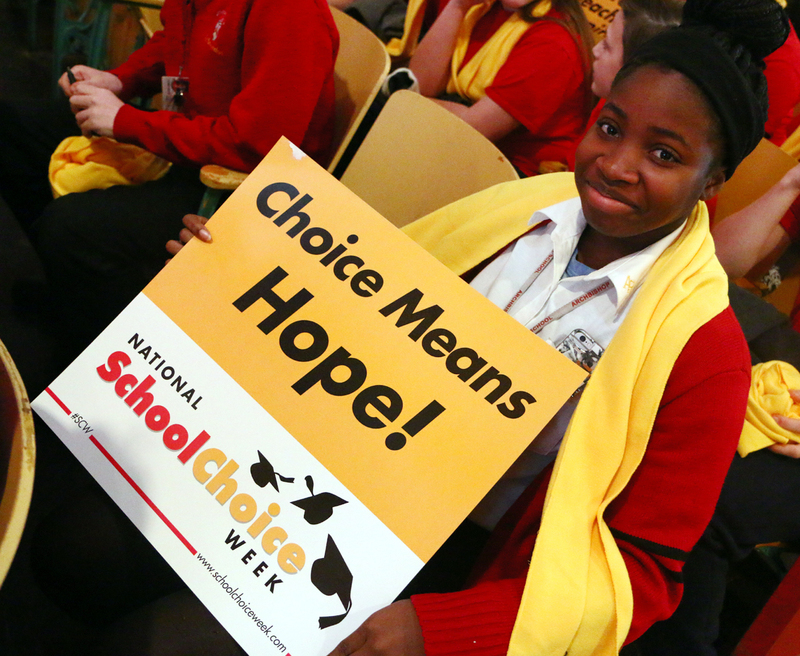 Mercy Sackor, a sophomore at Archbishop Ryan High School, listens to a presentation on school choice. 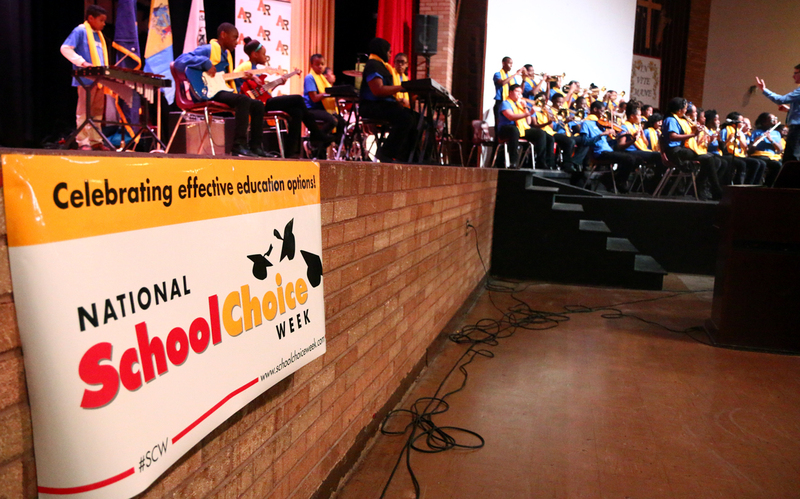 Members of the KIPP Philadelphia Charter School Jazz Ensemble perform their original music. A speaker from REACH Alliance and Archbishop Ryan High School student Timothy Sees show their support at the school choice rally. 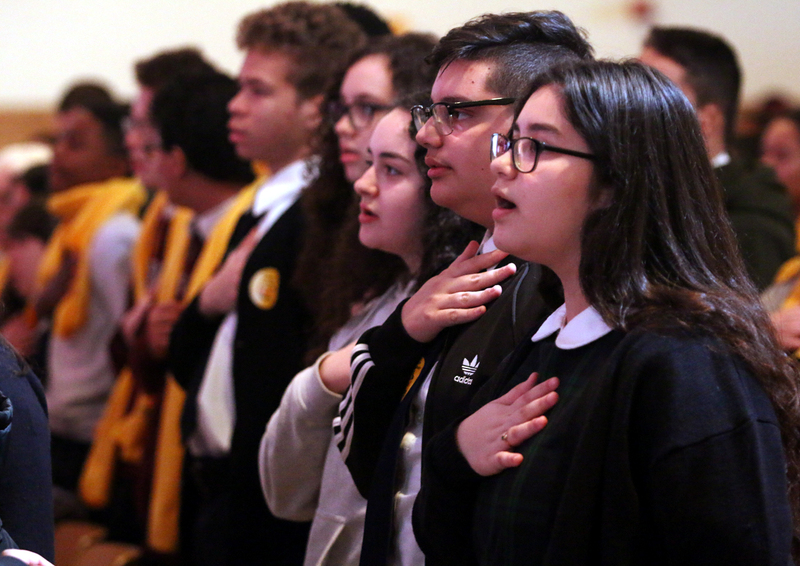 Students from all backgrounds together recite the Pledge of Allegiance. 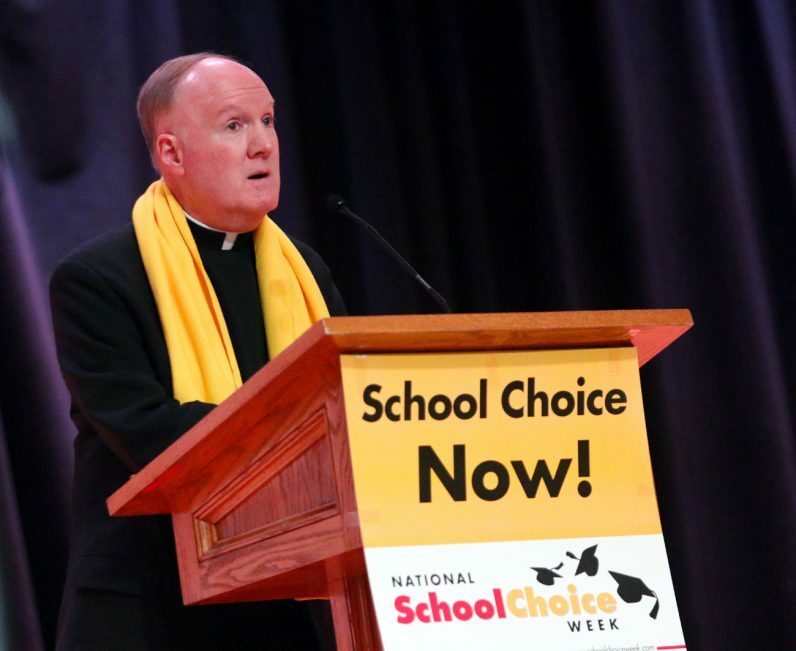 Auxiliary Bishop Michael Fitzgerald speaks in support of school choice at a rally held Jan. 24 at Archbishop Ryan High School. 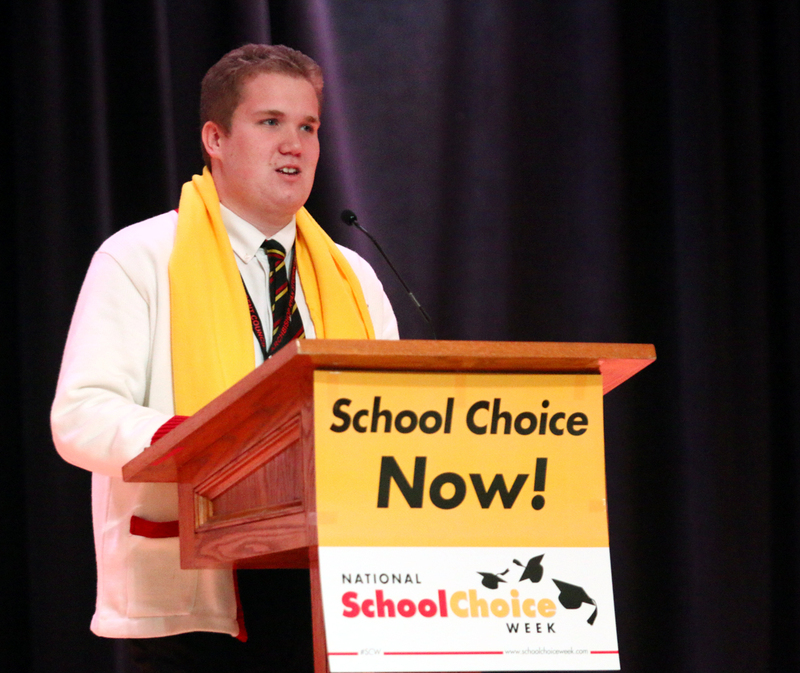 Tim Tuckerman, student body president of Archbishop Ryan High School, speaks at the rally. 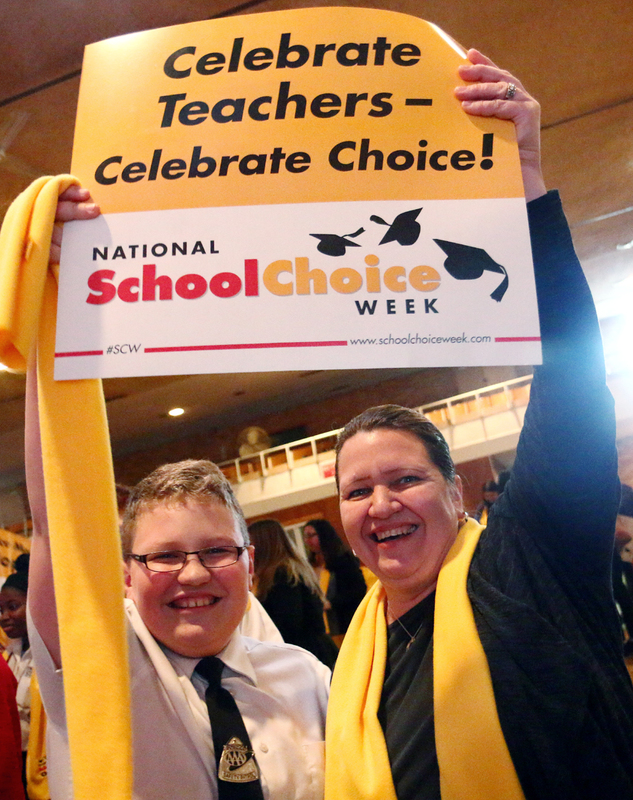 Melissa Torres, a teacher at St. Peter the Apostle School in Philadelphia, participated in the rally with her son Victor, a student at the school.